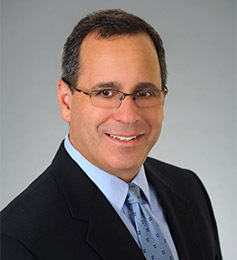 Ned Blumenthal is a shareholder practicing in Weissman’s litigation section. He represents real estate brokers, agents, appraisers, builders, developers and lenders in litigation and regulatory matters. Ned’s primary areas of practice include: insurance defense; negligence; professional negligence / malpractice; fraud; the Brokerage Relationships in Real Estate Transactions Act (“BRRETA”); Fair Business Practices Act; Georgia Real Estate Commission (GREC) and Georgia Real Estate Appraiser Board matters; Georgia Department of Banking and Finance (GaDBF) issues; Housing and Urban Development (HUD) and Georgia Commission on Equal Opportunity (GCEO) fair housing complaints; Federal and state Interstate Land Sales Act (ILSA) concerns; HUD and Consumer Financial Protection Bureau (CFPB) joint venture and Real Estate Settlement Procedures Act (RESPA) compliance and general business disputes and litigation. Ned has also handled a number of complex class action claims, both in state and Federal courts and serves as a Special Master on various matters. The co-author of The Red Book on Real Estate Contracts in Georgia, now in its 5th edition, and Secrets of Winning the Real Estate Negotiation Game, and a former REALTOR®, Ned writes and lectures frequently on real estate and litigation related topics. He has been named a "Georgia Super Lawyer," representing the top 5% of Georgia lawyer every year since 2011. He is licensed to practice in Georgia, Florida and Maryland. The Red Book on Real Estate Contracts in Georgia - NEW 6th Edition Coming Soon!